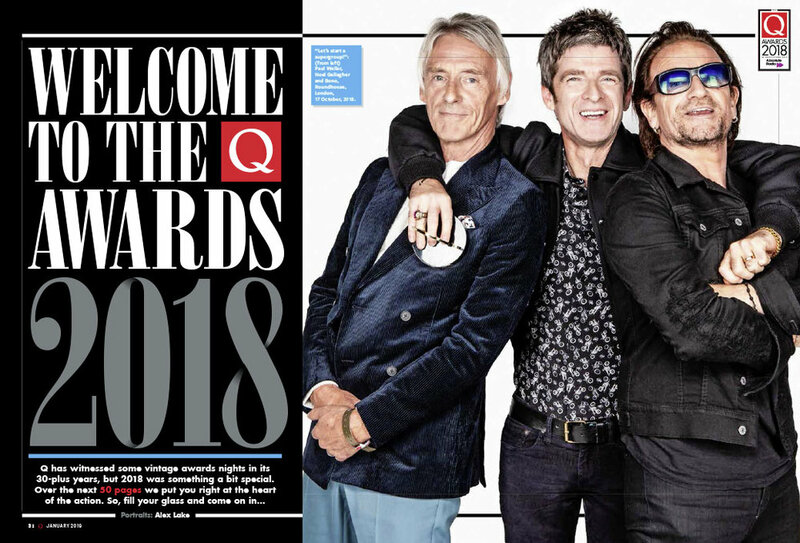 Articles > Weller, Wolf Alice & Noel on the cover of the new Q! Inside the issue, Chris Catchpole meets Paul Weller, recipient of the Best Act In The World Today award, in his local coffee shop to hear about a thirst that cannot be quenched. “I’m at the crest of a hill. I’m not necessarily over the hill, but I can sort of see over it,” Weller tells him. Rachel Aroesti catches up with Norwich duo Let’s Eat Grandma to hear how Jenny Hollingworth and Rosa Walton conjured up I’m All Ears, the winner of Best Album at this year’s awards. The Kinks are reunited for the Q Award-winning reissue of 1968’s The Kinks Are The Village Green Preservation Society. Ray and Dave Davies join drummer Mick Avory and Q’s Tom Doyle to look back on the magic they created and the time that’s slipped through their fingers. There’s a host of interviews in our access-all-areas coverage from the awards, including chats with Bono, Nile Rodgers, Jarvis Cocker, IDLES, Goat Girl, Simon Neil, Brett Anderson, The Streets, Lawrence, Stefflon Don and Ian McCulloch. 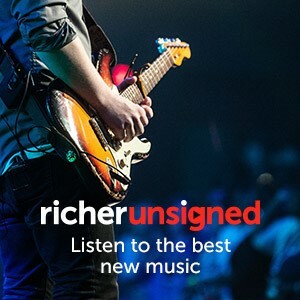 David Cavanagh visits Bill Ryder-Jones at home on The Wirral, where the former Coral guitarist opens up on his traumatic past and how music has helped his recovery. Rebecca Nicholson calls round to producer Benny Blanco’s place in LA to discover that the man behind some of the biggest pop hits of the past decade is still a total outsider. 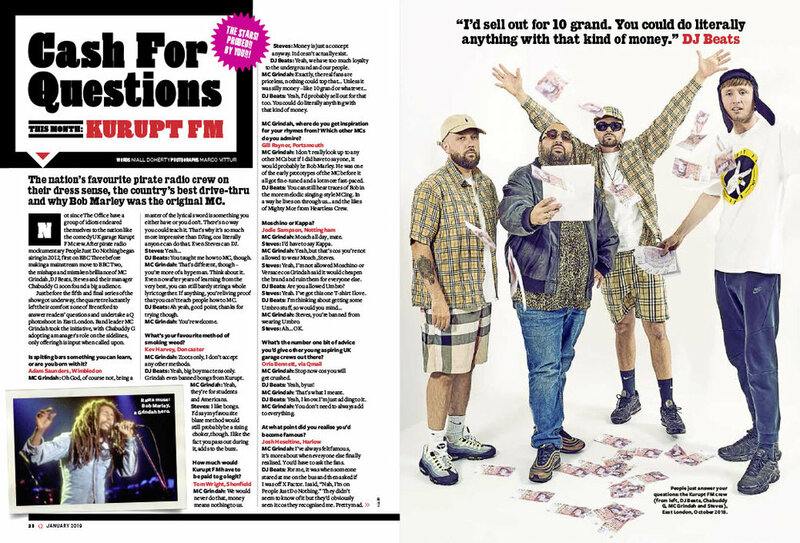 Fictional pirate radio crew Kurupt FM are the subjects of this month’s Cash For Questions. They answer your questions on their dress sense, the country’s best drive-thru and why Bob Marley was the original MC. Also in the issue, Riz Ahmed outlines his 10 Commandments for living, Sigrid shares the albums that changed her life, while Metallica’s Lars Ulrich checks in with us on his way to Philadelphia, and this month’s Last Word goes to Interpol frontman Paul Banks. In the Q Review, the world’s best music guide, we give our verdict on new records from The 1975, Jeff Tweedy, Mumford & Sons and more, while witnessing David Byrne bring his stunning live show to Manchester.